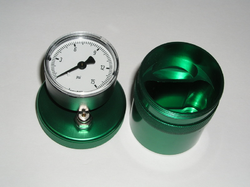 Providing you the best range of hydrogauge oil test kit and visgage oil test kit with effective & timely delivery. Hydroguages are used for accurately mesuring water content in all oils. The range of operation is 0.05 % to 5 %.